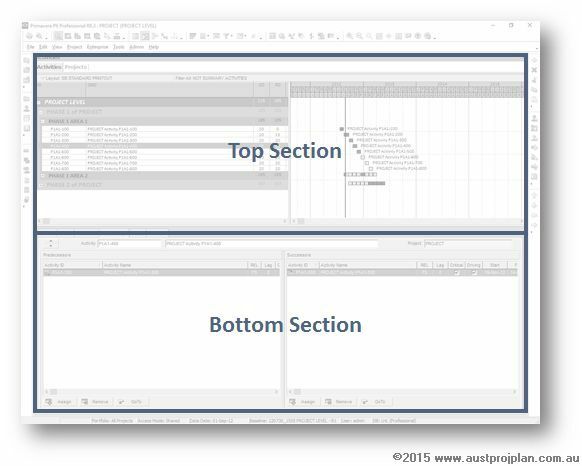 This article provides a brief overview and a downloadable reference card on Primavera P6 Views and Layouts. In a previous post on Activity Codes in P6 , it was suggested that using Activity Codes could take up an entire day of Primavera Training, Another topic that could also consume similar time is understanding how to use views and layouts in Primavera P6. This should be considered an important topic, as views and layouts serve two purposes. Firstly, views and layouts are how P6 is used, correctly configured views and layout provide efficient access to the data within P6 to enable data entry, analysis and review. The second important purpose, particularly when in activity view, is that layouts are how Printed Gantt charts are presented. The options to be presented in each of these sections depends on the view being used. A layout can be applied to most P6 functions, and when creating or saving layouts, the layout details (including which views are displayed) and many other features such as the columns, the colours of bars or the fonts being used are all associated with a layout. 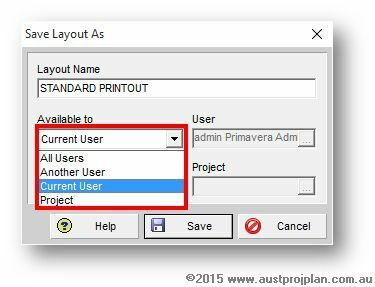 Project: Any user with privileges to view the project can access the layout. 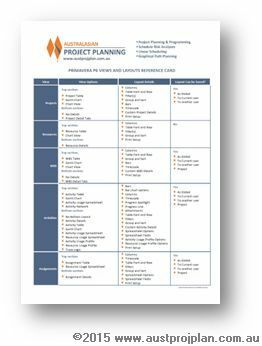 To assist users and the wider P6 community, available to download off this website, is the following Primavera P6 Views and Layouts reference card, that provides typical information that can be presented in each P6 View, and also, when creating or saving a layout, what are all the features that are associated with the layout.